Join us on Sunday, November 5th 12:00-3:00pm for sips, sweets & jewels. 20% of all sales during this time will benefit the UMDF and the St. Louis Energy for Life Walkathon. 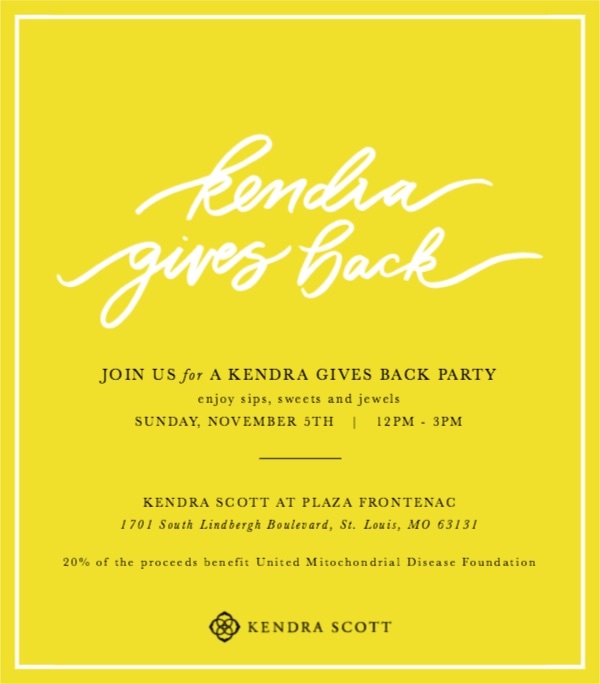 In the week prior to the Gives Back, affected families and individuals can schedule a time to visit the Kendra Scott store and design a custom piece they will then get to take home for FREE! These pieces will be on display and available for purchase during our Gives Back event on November 5th. If you’d like to schedule a time to come in to the store, please email anne.simonsen@umdf.org.